Now, before I tell you how we could do such a thing, it’s worth doing a quick review of what is meant by a “Dyson sphere”. Needless to say, the amount of energy that could be extracted in this way is mind-boggling. According to Anders Sandberg, an expert on exploratory engineering, a Dyson sphere in our solar system with a radius of one AU would have a surface area of at least 2.72×10^17 km2, which is around 600 million times the surface area of the Earth. The sun has an energy output of around 4×10^26 W, of which most would be available to do useful work. Dyson’s original proposal simply assumed there would be enough solar collectors around the sun to absorb the starlight, not that they would form a continuous shell. Rather, the shell would consist of independently orbiting structures, around a million kilometres thick and containing more than 1×10^5 objects. 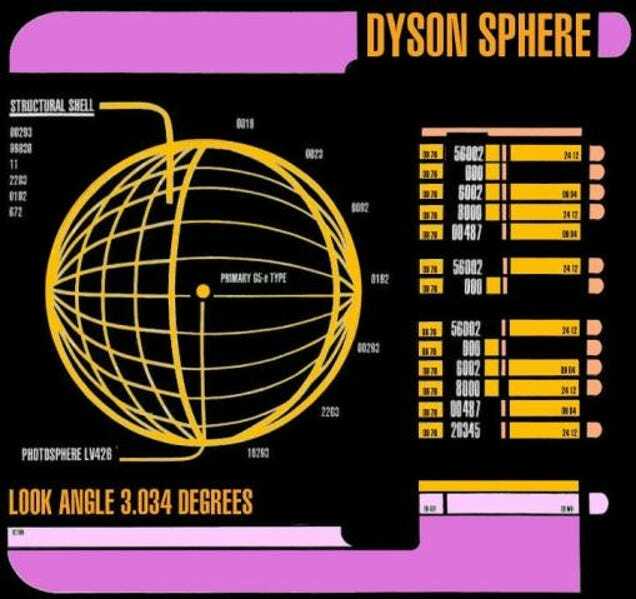 Consequently, a “Dyson sphere” could consist of solar captors in any number of possible configurations. 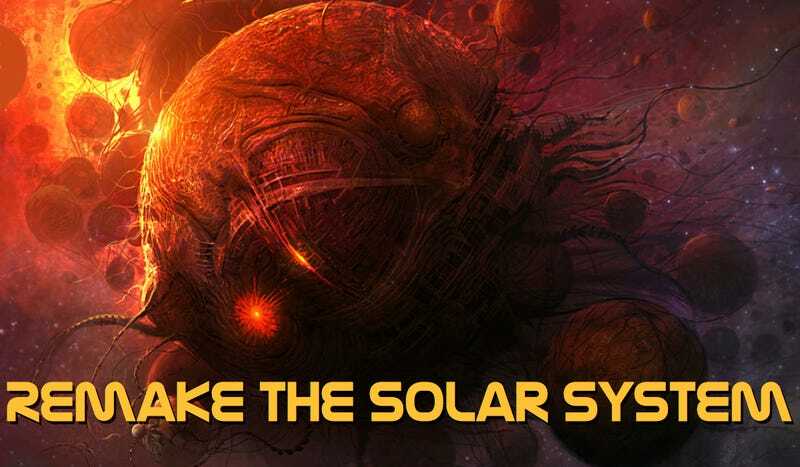 In a Dyson swarm model, there would be a myriad of solar panels situated in various orbits. It’s generally agreed that this would be the best approach. Another plausible idea is that of the Dyson bubble in which solar sails, as well as solar panels, would be put into place and balanced by gravity and the solar wind pushing against it. For the purposes of this discussion, I’m going to propose that we build a Dyson swarm (sometimes referred to as a type I Dyson sphere), which will consist of a large number of independent constructs orbiting in a dense formation around the sun. The advantage of this approach is that such a structure could be built incrementally. Moreover, various forms of wireless energy transfer could be used to transmit energy between its components and the Earth. Oxford University physicist Stuart Armstrong has devised a rather ingenious and startling simple plan for doing so-one which he claims is almost within humanity’s collective skill-set. Armstrong’s plan sees five primary stages of construction, which when used in a cyclical manner, would result in increasingly efficient, and even exponentially growing, construction rates such that the entire project could be completed within a few decades. Why Mercury first? According to Armstrong, we need a convenient source of material close to the sun. Moreover, it has a good base of elements for our needs. Mercury has a mass of 3.3×10^23 kg. Slightly more than half of its mass is usable, namely iron and oxygen, which can be used as a reasonable construction material (i.e. hematite). So, the useful mass of Mercury is 1.7×10^23 kg, which, once mined, transported into space, and converted into solar captors, would create a total surface area of 245g/m2. This Phase 1 swarm would be placed in orbit around Mercury and would provide a reasonable amount of reflective surface area for energy extraction. There are five fundamental, but fairly conservative, assumptions that Armstrong relies upon for this plan. First, he assumes it will take ten years to process and position the extracted material. Second, that 51.9% of Mercury’s mass is in fact usable. Third, that there will be 1/10 efficiency for moving material off planet (with the remainder going into breaking chemical bonds and mining). Fourth, that we’ll get about 1/3 efficiency out of the solar panels. And lastly, that the first section of the Dyson sphere will consist of a modest 1 km2 surface area. And here’s where it gets interesting: Construction efficiency will at this point start to improve at an exponential rate. Consequently, Armstrong suggests that we break the project down into what he calls “ten year surges.” Basically, we should take the first ten years to build the first array, and then, using the energy from that initial swarm, fuel the rest of the project. Using such a schema, Mercury could be completely dismantled in about four ten-year cycles. In other words, we could create a Dyson swarm that consists of more than half of the mass of Mercury in forty years! And should we wish to continue, if would only take about a year to disassemble Venus. And assuming we go all the way and envelope the entire sun, we would eventually have access to 3.8×10^26 Watts of energy. And why go all the way? Well, it’s very possible that our appetite for computational power will become quite insatiable. It’s hard to predict what a post-Singularity or post-biological civilization would do with so much computation power. Some ideas include ancestor simulations, or even creating virtual universes within universes. In addition, an advanced civilization may simply want to create as many positive individual experiences as possible (a kind of utilitarian imperative). Regardless, digital existence appears to be in our future, so computation will eventually become our most valuable and sought after resource.